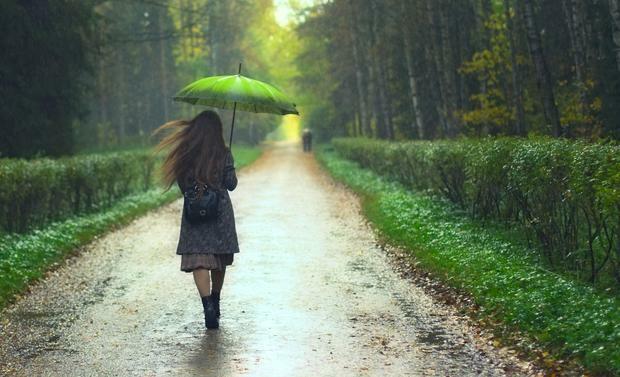 Irish weather will take a sharp turn this weekend, according to Met Éireann. Thursday is set to be the hottest day this week, with temperatures climbing up to 26 or 27 degrees in the East. It will be much cooler in the west, due to the rain sweeping through the area. Showers in the west are expected to spread through the country and result in cooler conditions of 17-21 degrees on Friday. Temperatures will drop further across the country on Saturday, ranging between 15-19 degrees, but the conditions will be bright. Sunday will be a notch higher, with top temperatures of 17-22 degrees. The weekend, though, is expected to encounter “persistent rain,” according to Met Éireann forecaster Gerry Murphy. “The best conditions will be if the rainfall is moderate,” he said. Murphy said that even though the last few days have been warm, conditions for the next week are expected to get “cooler” across the country. Meanwhile, the UK’s heatwave registers record breaking temperatures of 35C on Thursday and 37C on Friday, coming down over the weekend and soaring upwards next week again. The UK forecaster’s yellow weather warning for torrential downpours, accompanied by hail and strong gusts on Friday afternoon and into the evening, has been extended to cover the south east of England, as well as northern and eastern parts of the country. “Temperatures are looking like they’re going to build again towards the end of next week,” said Met Office spokesman Richard Miles, adding they could soar into the early 30s again. A “high” air pollution alert has been issued for London. Air quality alerts will be displayed at bus stops, river piers, on busy roads and at the entrances to London Underground stations on Thursday. Children, the elderly and people with lung or heart problems have been advised to reduce strenuous exercise and physical exertion. Meanwhile, the UK Health secretary Matt Hancock has been asked to set out what measures he has taken to deal with the ongoing heatwave.